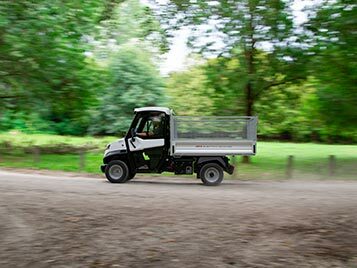 Alke' electric utility vehicles with loading bed have been designed to meet the needs of a wide variety of sectors. 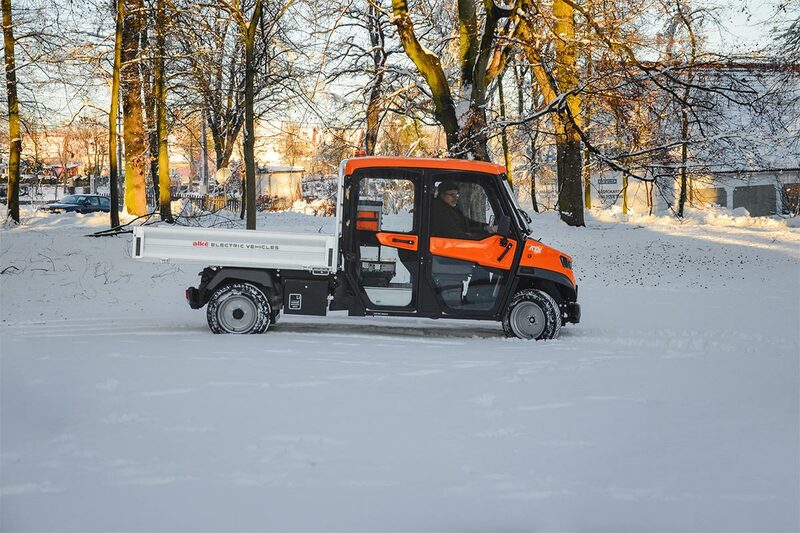 With their streamlined shape and high load capacity (up to 1,630 kg), these vehicles are a must for road, industrial, tourist and even off-road transport. 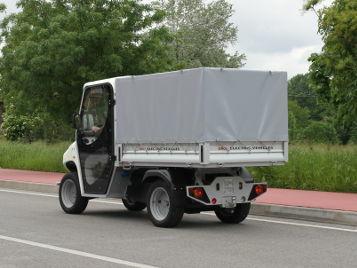 Why choose an Alke' electric utility vehicle with loading bed? 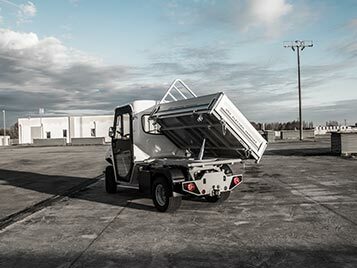 The special structure of the electric utility vehicles with loading bed makes transporting goods and merchandise professional and easy. 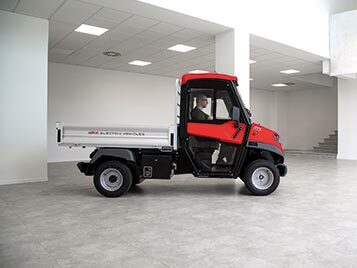 With its sturdy chassis, the loading bed can support a weight of up to 1,630 kg whereas, as far as its towing capacity is concerned, the vehicle can tow 2,000 kg in urban areas and 4,500 kg in private areas. 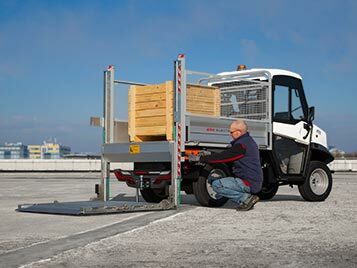 The size of the loading bed varies to give customers the customisation they need. It is available in two options - 130x123 cm and 180x123 cm - where only the length of the loading bed varies whereas the third option - 200x140 cm - has a wider loading bed. 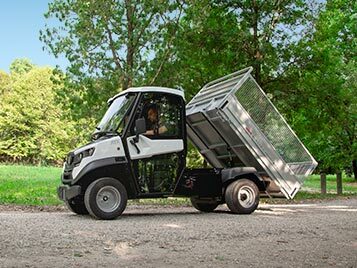 To make loading and unloading materials easier, the aluminium drop sides can be opened on all three sides, whereas the loading bed has a protective guard on the front to stop the material coming into contact with the driver cab. The loading bed has also undergone anti-corrosion treatment to extend its service life. An electro-hydraulic lifting kit which can be controlled from the cab dashboard can also be added. 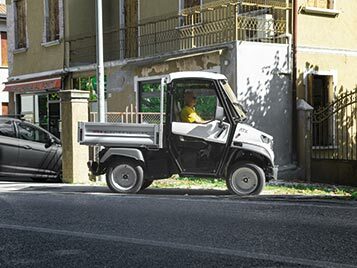 With their innovative technology and materials, electric utility vehicles with loading bed can operate in an environmentally friendly, high performing way in all types of situations. Alke' vehicles are used in areas with extremely difficult atmospheric conditions such as the frozen wastelands of northern Europe or the extreme temperatures of the Sahara desert. 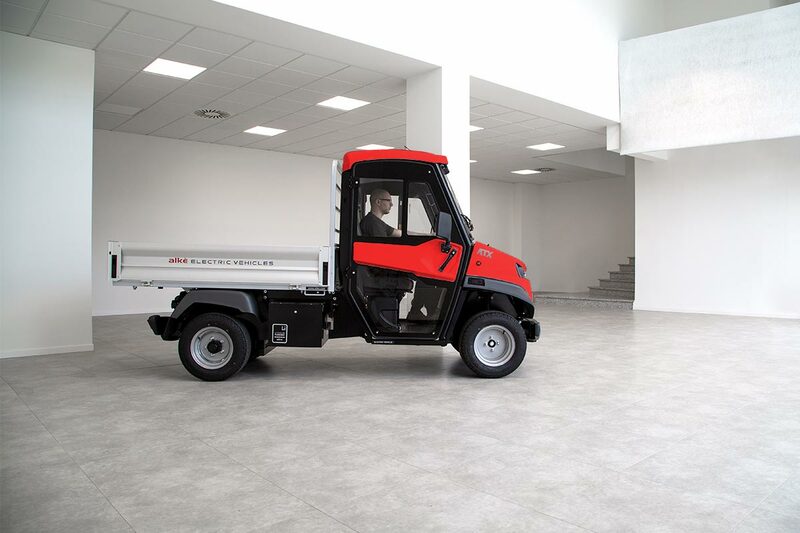 Their compact size make them perfect for road maintenance both in cities full of traffic as well as the narrow streets of historic town centres. Their eco-friendly component, provided by an electric motor, means that the vehicle can operate with zero harmful emissions and reduce noise pollution. The electric power supply also introduces an important economic factor: a significant fuel saving since a full electric charge costs approximately 2 euros. Alke' electric vehicles with loading bed enjoy an excellent reputation all round because they combine effectiveness, efficiency and respect for the environment. 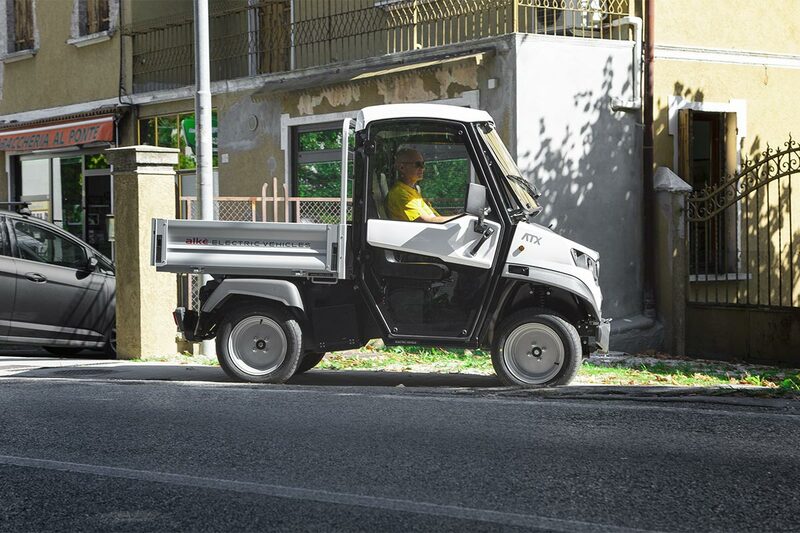 These utility vehicles are most widely used in the following areas: city councils, industry, tourism and agriculture. 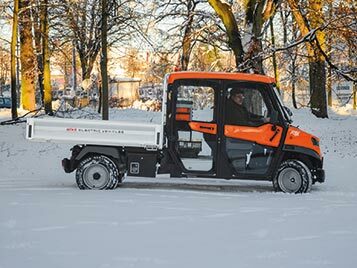 Send us a short message if you would like more information on our electric utility vehicles with loading bed.